can jot form email forms in xml format? can my submissions be emailed in xml format ? to my email?? It will be simpler to create the email message into CSV formatted text and then use XML parser to convert the result in XML format. 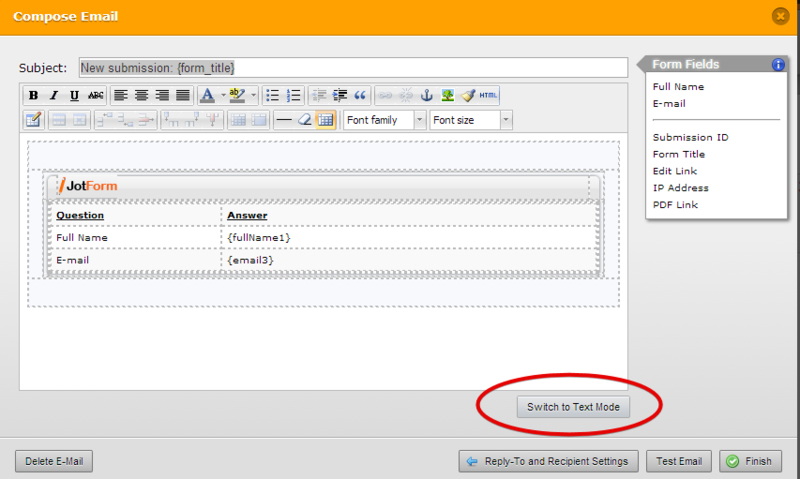 BUT if you want the email message directly in XML format, you will have to do this manually on the message. That is, create all the xml elements/tags and then place the form fields within the XML structure. Is there still a way to switch to Text Mode in the updated version of JotForm? I have moved your question on another thread. We will handle your concern there.